Once a complementarian, Dr. Jamin Hübner, author of A Case for Female Deacons (Wipf & Stock, 2014) and a number of academic journal articles, joins me to discuss his change of mind and why he now thinks the Bible teaches egalitarianism. Dr. Philip B. Payne joins me a second time to respond to the recent appearance of Dr. Jim Hamilton, who had presented a complementarian critique of Dr. Payne and egalitarianism. This episode contains the second half of the interview; listen to episode 103 for part one. In “A Listener’s Response to Jim Hamilton (Part 1)” I posted listener Allison’s response to my interview with complementarian Dr. Jim Hamilton, who himself appeared to respond to my interview with egalitarian Dr. Philip Payne. What follows is Allison’s part 2, which you can also find at her blog. Incidentally, Dr. Payne recently let me interview him a second time for his response to Dr. Hamilton, and you can find part 1 of that interview in episode 103. Dr. Philip B. Payne joins me a second time to respond to the recent appearance of Dr. Jim Hamilton, who had presented a complementarian critique of Dr. Payne and egalitarianism. This episode contains the first half of the interview; listen to episode 104 for part two. In episodes 85 and 86 I interviewed egalitarian Dr. Philip Payne, and found his case somewhat compelling. Recently I interviewed Dr. Jim Hamilton in episodes 96 and 97 for his complementarian response to Dr. Payne, which I also found compelling. While I lean toward complementarianism at this point, I find myself impressed by the case made by scholarly proponents of each position, and I don’t believe egalitarianism—at least of the sort promoted by Dr. Payne—can be as easily dismissed as I once thought. I am reaching out to notable egalitarians asking if I may interview them for their response to Hamilton, or if they’re interested in a debate. In the meantime, listener Allison has written a review of part 1 of the Hamilton interview, which you can find here. With her permission, I’m reproducing it in its entirety below. Discuss! Part two of my discussion with complementarian Dr. Jim Hamilton in which he offers his response to the egalitarianism of Dr. Philip Payne. Dr. Jim Hamilton joins me to offer his complementarian response to the egalitarianism of Dr. Philip Payne. This episode contains part one of the interview; stay tuned for part two. Dr. Philip B. Payne joins me to present his case for egalitarianism, as put forward in his book, Man and Woman, One in Christ: An Exegetical and Theological Study of Paul’s Letters. This episode contains the second half of the interview in which Dr. Payne responds to common complementarian objections. Listen to episode 85, “One in Christ,” to learn a little bit about Dr. Payne and for his positive case for the egalitarian perspective. Dr. Philip B. Payne joins me to present his case for egalitarianism, as put forward in his book, Man and Woman, One in Christ: An Exegetical and Theological Study of Paul’s Letters. This episode contains the first half of the interview in which Dr. Payne tells us a little bit about himself and his background, and presents his positive case for the egalitarian perspective. Listen to episode 86, “Adam’s Rib,” for part 2 of the interview in which he responds to common complementarian objections. 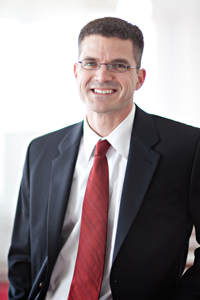 Dr. Philip B. Payne is well known for his studies on New Testament Textual Criticism, the Parables of Jesus, and Man and Woman in the Teachings of Paul. He and his wife Nancy were missionaries in Japan with the Evangelical Free Church, where they ministered to students in the Kyoto Christian Studies Center and lectured on New Testament in various Japanese Seminaries. On the one hand, because I’ve been a student of 日本語 (Japanese) myself, I feel a sense of kinship with Dr. Payne. On the other hand, my being a complementarian puts me at odds with Dr. Payne when it comes to the roles of men and women in the Church. 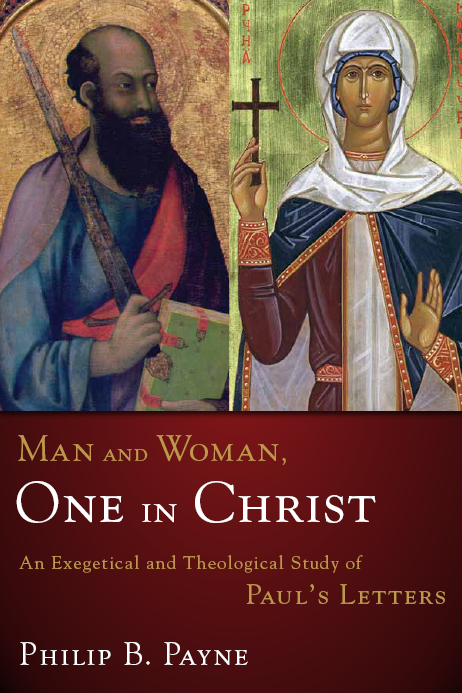 Coming soon, Dr. Payne joins me to challenge me and my listeners with his position in the debate between complementarianism and egalitarianism, as put forward in his book, Man and Woman, One in Christ: An Exegetical and Theological Study of Paul’s Letters. I must admit, his treatment of the topic is the first I’ve come across from his perspective which seems to try and take the original text of the New Testament seriously. You and I may disagree with him when the interview is over, but it probably won’t be for the typical reasons we disagree with egalitarians. Stay tuned!